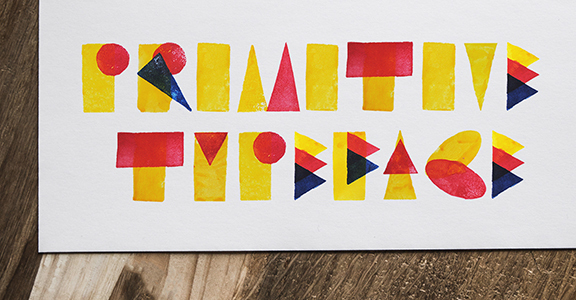 My first ever designed typeface is called Primitive. At first thought, what I wanted in my typeface was to evoke a sense of whimsical and simple happiness. It would also be bright, bold, while easy and fun to typeset words and short phrases. 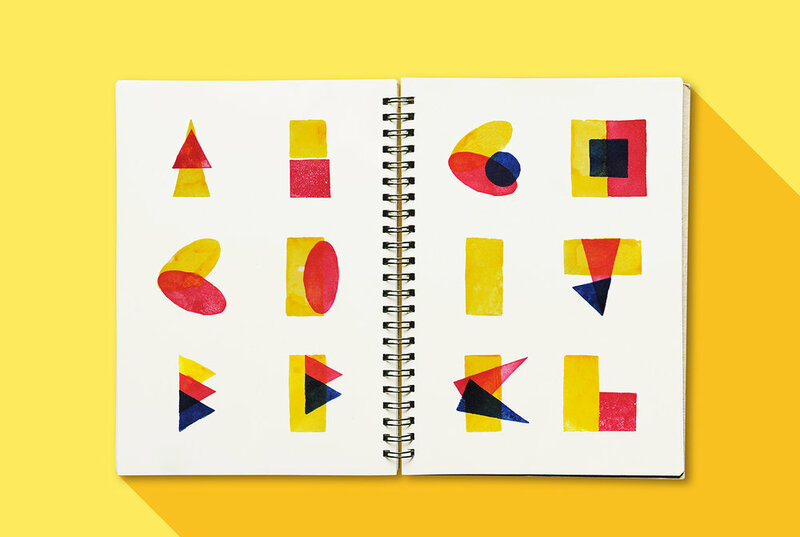 I was especially inspired by my love for stamping things, and all the everyday shapes we grew up with: such as triangles, squares, circles in math and art classes. Then only using 3 colors (red, yellow and blue), and 3 shapes per letter (out of the 6 shapes I've carved out), the Primitive typeface came to be.